For instances where you have to convert data that you have downloaded from Wisenet as an Excel file to a Flat file, follow the steps below. When selecting the records to copy do not use the Select All or include headings that may have been exported with the data records. Only actual data records should be copied. 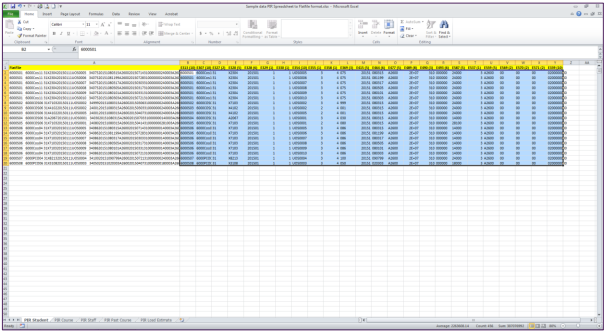 The PIR Microsoft Excel to Flat File Template has a separate tab for each file that is to be submitted to the department. You will notice that the cells in column A have been populated. (#VALUE) will show. 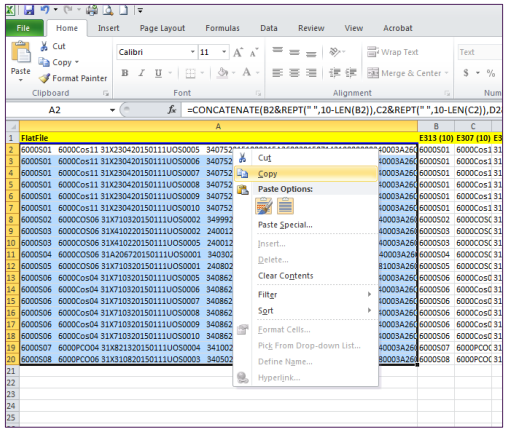 Any cell showing this error will need to be corrected before progressing. 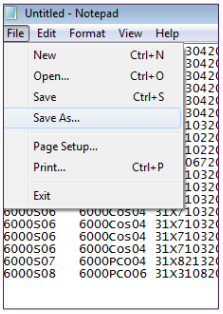 of format removes leading or trailing zeros. When selecting the records to copy do not use the Select All or include the headings that are highlighted in yellow. Only actual data records should be copied. It is best, once populated with data, to move the Sample HEPCAT Flat Files to C:\hepcat\Import for importing to HEPCAT. 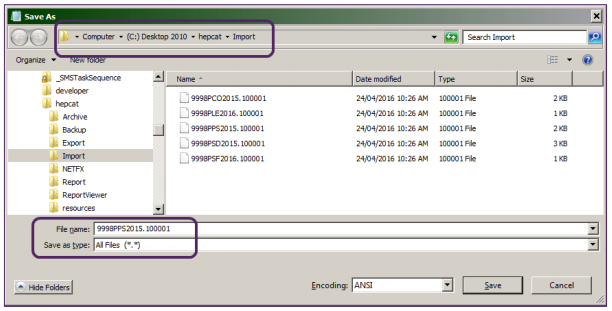 If you do not have HEPCAT installed you can save these files to another preferred location.